Austria’s capital city is, without a doubt, one of the most gorgeous and elegant cities in the world. Vienna’s legacy includes imperial palaces, Romanesque architecture, and culinary delicacies. Vienna’s artistic endowment is evident in the Kunsthistorisches Museum, an art museum housed in a palatial building. The interior of the building itself is a sight that you must see to believe, and the exhibitions showcased are not far behind. The Schönbrunn Palace is the top attraction in Vienna. This is a former imperial residence with over 1,400 rooms, and the most important building of Austria both culturally and historically. Another impressive architectural wonder is the Hofburg Palace. Built in 1279, this building is now the official residence of the President of Austria. Lastly, don't leave Vienna without visiting St. Stephen's Cathedral, commonly known as the symbol of Vienna. This 12th-century building is now the most important Gothic-style structure in all of Austria. The tallest tower in the cathedral is over 130 meters tall. Whether you’re looking to learn about the history, see the city for the first time, or make a few friends, a Vienna free walking tour will give you all of this and more. The Original Vienna Walking Tour is an excellent guided tour of Vienna’s major historical sites. Learn how locals live and how to get around the city. Listen to stories about the history of Vienna and its importance in Austria, and visit the top landmarks in the city. 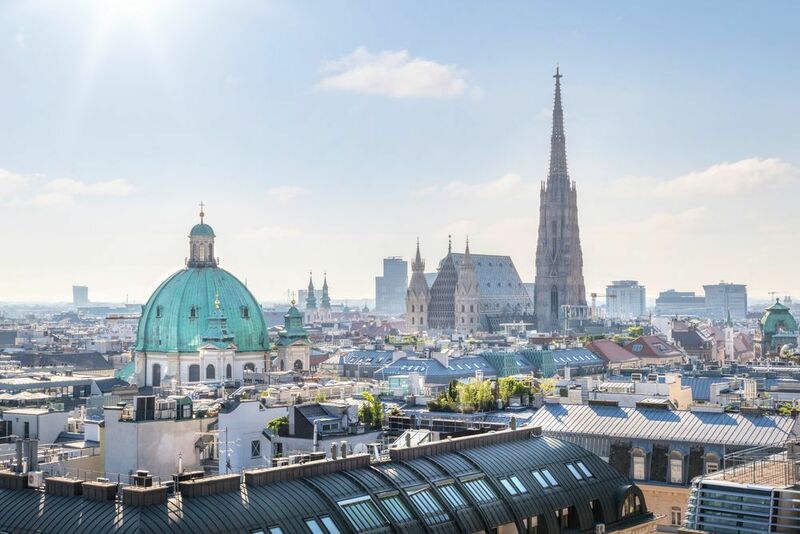 This 2.5-hour tour will take you to the oldest church in Vienna (St. Rupert's), the old Jewish Quarter, and the Old City Hall. Familiarize yourself with Viennese culture, modern-day Vienna, and the most influential historical events. The tour meets at Stephansplatz, but dates and times are always changing, so check out their website for more information. The tour guides of the Good Vienna Tours pride themselves in adding a touch of comedy to their tours, keeping you entertained and smiling through the whole trip. You will visit Albertina, Emperor Joseph's Square, and the Swiss Courtyard. Learn about Viennese history and culture, and get to know the city from local's who live in it. You will also stop by the St. Stephens Cathedral, Gutenberg Monument, and Greek Quarter, as well as many the other main sights in the city. Prime Tours are the hippest free walking tour in Vienna, founded by 2 backpacker, who love great quality for a fair price. This free city tour is made with love to history, culture, lifestyle and respect to the nature. For those who want to take the tour into their own hands, you can download and print a self-guided tour from the Big Boy Travel website. This tour stretches for 2.5 miles and can be done in approximately 2 hours depending on your pace. All the major sites and attractions and listed on the map, and you can modify the tour according to your interests. Take a long lunch break in the middle or speed up your pace if you need to. Below you can find more popular (but not free) activities and tours in Vienna. Are you from Vienna and want to be a tour guide? Please get in touch by submitting your details on this page!